The idea to merge the AMA’s Mark of Excellence and the PRSA’s Empire awards programs sprang from a friendly conversation about memories of past awards. Each program had sunset for various reasons, including the sheer amount of work that events like these require. However, the lack of an awards event for local marketing communications professionals left a noticeable void. 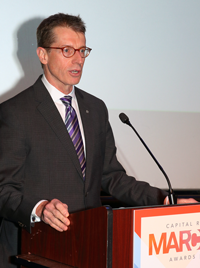 That conversation created a spark; we realized that by working together we could rekindle the tradition of recognizing the excellent work and outstanding achievements of our members and other Capital Region marketing communications professionals, as well. 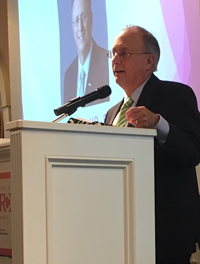 While PRSA Capital Region’s Empire Awards honored outstanding PR and Public Affairs and NYCRAMA’s Mark of Excellence Awards recognized exceptional marketing, the two organizations’ events were similar. Both held their awards ceremonies in the fall and historically had experienced robust participation in terms of entries submitted and attendance. Most importantly, each awards program recognized work that brought results. Given these similarities, and the growing crossover between marketing and public relations, it seemed only natural to work together instead of separately. 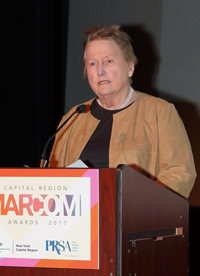 Hence, the Capital Region MARCOM Awards was born, honoring the best in Capital Region marketing communications.